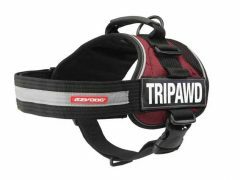 Help Tripawds, hefty or aging pets that need a safe and easy way to get into and out of your SUV. 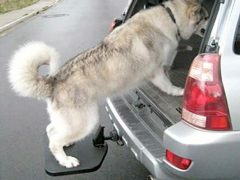 The Hitch-Up is designed for the pet without the ability to jump into a vehicle. 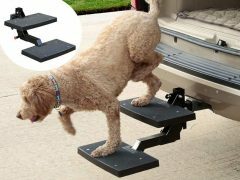 The Hitch Up Pet Step by Great Day is the perfect platform for your dog to walk in and out with no assistance. No more lifting and straining. 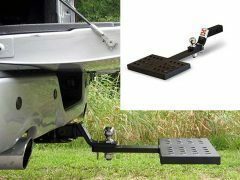 The Hitch-Up attaches in seconds to a regular 2″ hitch receiver and folds neatly out of the way when not in use. The platform is constructed of strong aircraft aluminum, measures 16″L x 13. 5″ W and weighs only 7 lbs. The Hitch-Up comes with a super-tough powder-coat black enamel finish. 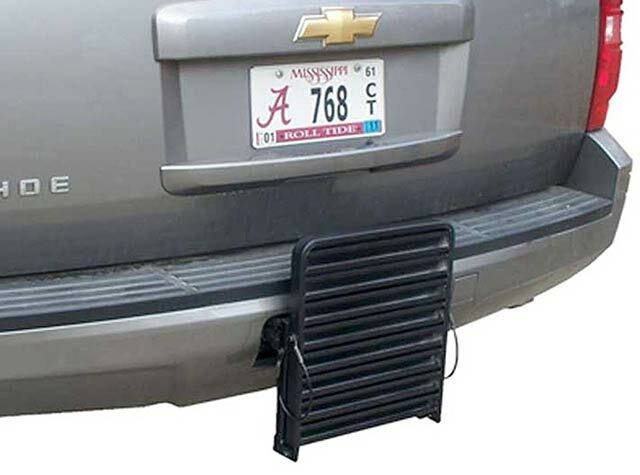 Find best Hitch Up Pet Step price and read more reviews on Amazon. 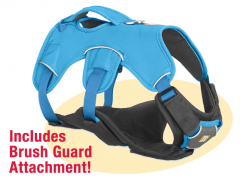 Be the first to review “Great Day Hitch Up Pet Step” Click here to cancel reply.